La Sumida Nursery will be closed from December 25, 2017 through January 2, 2018 so that our employees may spend the holidays with their families. We will reopen for business on Wednesday, January 3, 2018. Happy Holidays from La Sumida Nursery! Our shipments for 2018 will be here and available in the nursery. 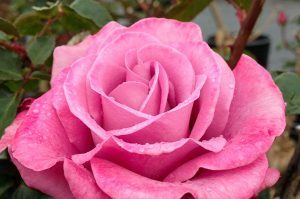 See our Rose List and Bare Root Fruit Tree List for more information. We look forward to seeing you! We will be closed Sunday, April 1, 2018 so that our employees may spend the holiday with their families. We look forward to seeing you on Monday, April 2nd for the soft opening of our rose field! Get a preview of our Rose Field starting April 2, 2018! The Rose Field at La Sumida Nursery officially opens April 7, 2018. La Sumida is a destination stop for rose enthusiasts between L.A. and the Bay area! Learn how to properly care for your rose garden with expert Dan Bifano. Learn how to properly care for and prune your fruit trees with expert Karen Christman. Gain insights into planning and caring for your backyard orchard with expert Tom Spellman of Dave Wilson Nursery. The Rose Field at La Sumida Nursery opens April 7, 2018. La Sumida is a destination stop for rose enthusiasts between L.A. and the Bay area! 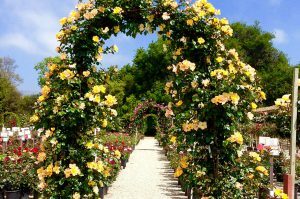 Come walk through our rose field with over an acre of roses in bloom. 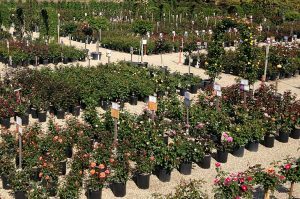 Our Rose Field is closed Wednesdays for restocking and maintenance, but the rest of the nursery is open for business as usual. Come on by, our friendly, knowledgable staff is ready to assist you!